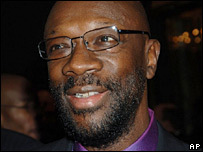 Hayes, 63, who is the voice of the lustful Chef, has been a regular on the show since its US TV debut in 1997. 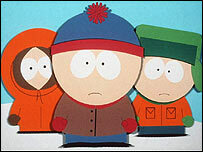 Co-creator Stone said Hayes would be released from his contract and had the best wishes of the South Park team. The series tells the story of four boys in a dysfunctional Colorado town and regularly deals with sensitive subjects and sends up famous figures. Hayes did not take part in that episode but has talked widely about his work for Scientology, which he calls "an applied religious philosophy". A spokesman for the show's makers Comedy Central said producers had not decided if Chef would be dropped from the show. The show sparked another religious row recently when an episode entitled Bloody Mary depicted a bleeding statue of the Virgin Mary. Catholics in the US criticised the show while church leaders in New Zealand called for a boycott of a broadcaster which planned to screen the episode. Osama Bin Laden was killed in another episode of the programme, which has seen guest cameos by the likes of George Clooney, who voiced a pet dog.